Anyone know when it was last used for a sporting event? Anyone know the year it was demolished to make way for the estate? After the greyhound racing ceased it became a ten pin bowling venue called The Dogs Bowl. When the popularity of that sport faded it was demolished for the estate. Early 70s perhaps? The Dogs Bowl ten pin bowling alley was there in late 60s early 70s.Can also remember Jet filling station at the same time that was built in the car park at the junction of Horsley Hill Road andWestcott Avenue,cheapest petrol in the North East at the time. Jarrow Pete wrote: The Dogs Bowl ten pin bowling alley was there in late 60s early 70s.Can also remember Jet filling station at the same time that was built in the car park at the junction of Horsley Hill Road andWestcott Avenue,cheapest petrol in the North East at the time. I can remember my father refusing to go to a Jet petrol station because he said the cheap petrol damaged the engine. 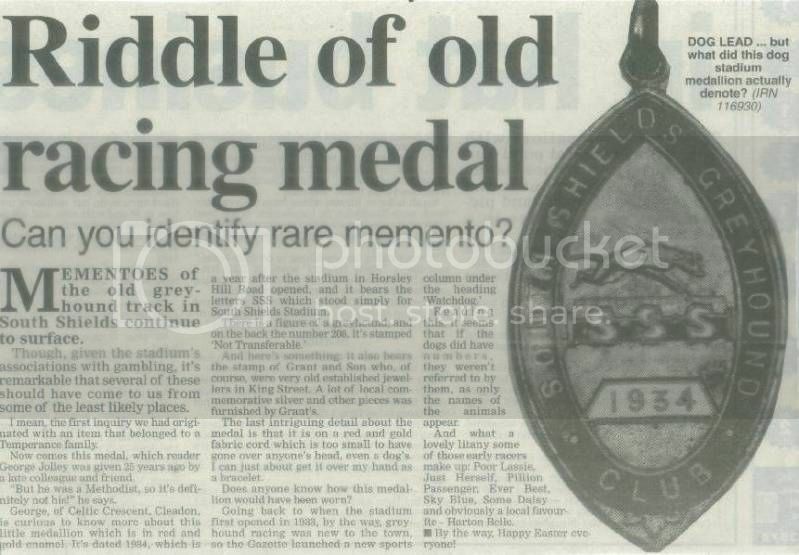 However, the Dog Bowl petrol station gave away England World Cup coins in 1970 (Moore, Ball Charlton etc) so he had no choice in the matter as far as we kids were concerned where he got his petrol from at that time! Do we know when the bowling ceased and the stadium was demolished? I think my cousin had a garage in car park at side of stadium.....I'll have to check..
By the way..the same guy is part owner of Osbourne Motors in Commercial road. Called that because they used to be based in Osbourne Ave after the Stadium..
curly wrote: Do we know when the bowling ceased and the stadium was demolished? It was demolished in 1975-1976, I should know as I played in there whilst it was getting demolished. I also ended up living there, from 1998-2003. Second rung on the property ladder. Wasn't there some problem with getting the roads completed on that estate when it was first built ? It appears on Durham County Council#s historical maps for 1979, but in 1980 it has been replaced by the Stadium estate, perhaps a good clue? I remember playing there as a scout from Brownsea Hall (Hoo-ray the 22nd) in the mid 1970's, and it was derelict then. Had some interesting experiences with a lass from Mowbray Road there in 1976, and it was a field full of rubble and weeds at that time, so my penn'orth is demolished 1975/76. Couldn't say when it was last used for any kind of sports, although I remember the dogs in 1971. Can anyone remember the lad that used to take his horse on the field to graze? I think he was called Sparky. He would let you ride his horse, then smack its ar se, and off it went like a buckaroo, I had a few rides, and got unceremoniously ejected, happy days. but like the Edinburgh, although on a smaller scale. I can remember my mam and dad taking me to see them Later on I remember being involved with some sort of similar event there with the Girl Guides. Was always fascinated with the large army searchlights they used to illuminate the tattoo's. Greetings from A Geordie on Crusade in the South. 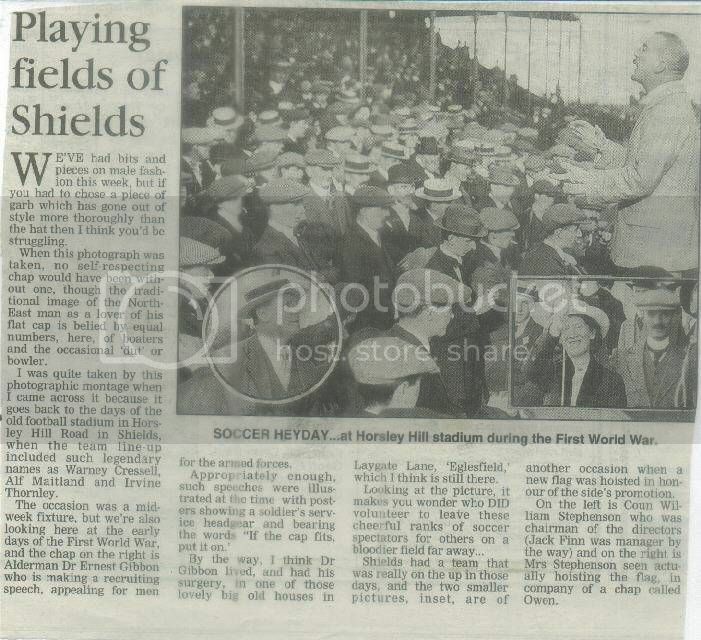 My Dad worked in The Scotia bar at The Dogs Bowl during the Mid 60s. The bar had a mannequin of a highlander regalia...quite scary for a kid. 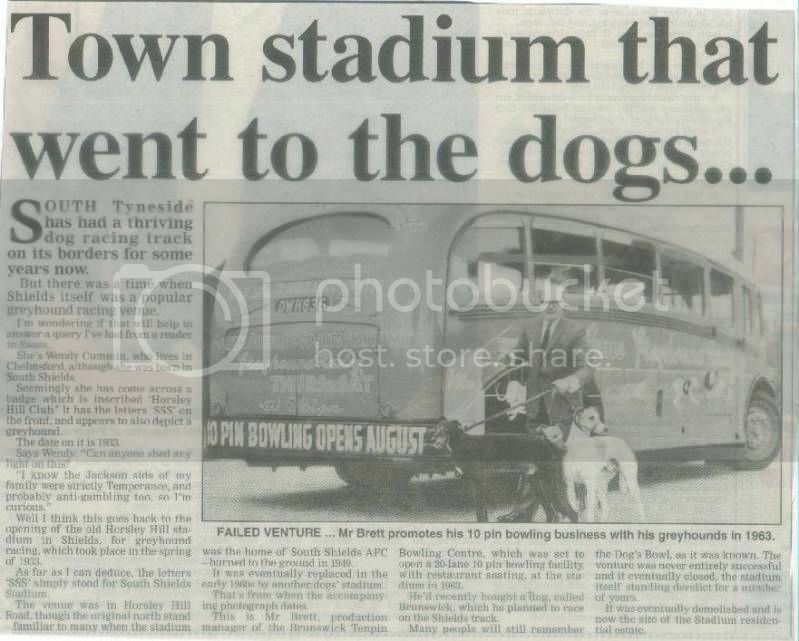 Recall the dog track and bowling alley being in use at the time but haven't been able to find any photos anywhere..not epven the Gazette! Anyone have any? This old gazette cutting has a little info.